The other method is dilute phase conveying, and the main points of difference between the two are pressure, the solids’ properties, and the rate of conveying speed. 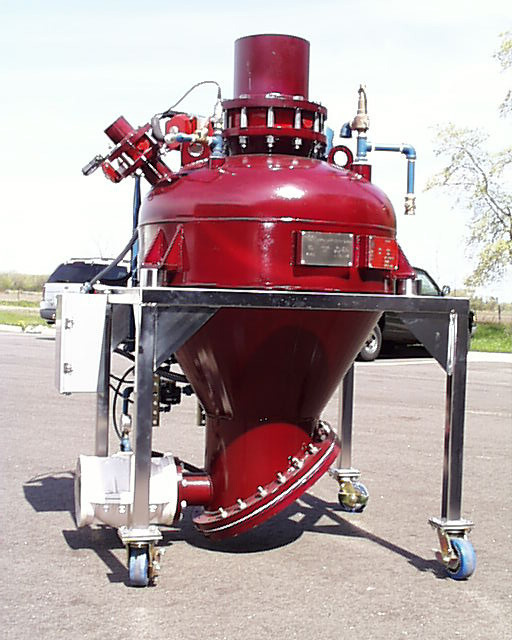 Dense Phase Conveying – Whirl-Air-Flow Corp. In particular, dense phase conveying deals with the transportation of abrasive, friable or heavy materials such as sands, soils, minerals, food, paper scraps, and rocks. Dense phase conveyors push materials through at a fairly low velocity with a low air-to-material ratio. Often, dense phase conveyors use an air compressor to generate high pressure levels to move materials through the system at a general average of 275 feet per minute. Typical industries that benefit from dilute phase conveyors include pharmaceutical, chemical and food processing, foundry, mining, plastics, and cement. Since dense phase conveying is ideal for moving large quantities of materials, it is often used in bulk material handling applications. However, dilute phase conveying may also be used if the materials being conveyed are both light-weight and non-abrasive. A dense phase conveyor is an enclosed tubular conveyor that is operated using air pressure and is typically gravity or vacuum-loaded while discharging materials from the bottom; however, there are several different dense phase conveyor designs. The bottom discharge design, in particular, lends itself so well to dense phase conveying because the materials being conveyed are so densely concentrated that they will naturally deposit at the bottom. 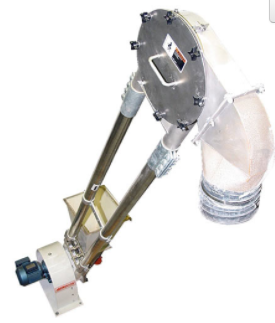 Movement within gravity loaded dense phase conveyors is typically generated by a blower at the starting end of the conveyor, although vacuum loaded dense phase conveyors pull products through using a vacuum at the conveyor’s destination. When the material being conveyed is fluidized, it deposits at the bottom much like a deposit of liquid and is dragged, or pushed, along the bottom. In dense phase conveying, there are two different manners of flow: moving bed flow and plug flow. Moving bed flow occurs when the material is conveyed along the bottom of the conveyor pipeline, whereas plug flow occurs when the material is conveyed in units, called plugs or slugs, which are separated by air gaps rather than one fluid body. Dense Phase Conveying Dense phase conveying, also referred to as non-suspension flow, is one of the two main methods of pneumatic conveying.